Family planning is a consultative process involving all stakeholders in the disabled child’s life. These stakeholders are often other members of the family, siblings of the child, grandparents, aunts and uncles and often friends. People who care about the disabled child and have a stake in his or her life will often wish to be involved in some family planning. · What happens to our child when we die? · What happens to our child when physically we can do no more for him or her or when we lose capacity to do so? 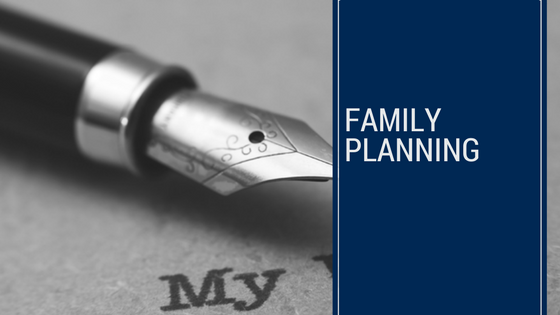 Family planning is more then the legal documents that a solicitor may prepare. It involves looking at the care arrangements for the disabled child now and into the future. It looks at the living arrangements of the disabled child both now and into the future. It looks at the lifestyle of the disabled child or the social activities that currently occur. Gone are the days of locking away a disabled child and forgetting them. An active and full life (if possible) should be encouraged, facilitated and planned for.